Class size is limited in programs. Once optimal enrollment has been met, applicants will be placed on an alternate list. NCC admits students to the Arts & Sciences, Business/Health, and Applied Technology programs who have either a high school diploma or a high school equivalency diploma. Individuals who have not completed either may be admitted on an individual basis. Admission to the College does not ensure admission to a specific program. NCC reserves the right to guide your program selection on the basis of counseling, assessment, pre-enrollment interviews, and past academic achievement. If you do not meet specific requirements, you may be admitted on a provisional basis or may be required to complete college preparatory courses before admission. Admission shall not be granted until all required materials are received. An Enrollment Confirmation Form requesting an advanced tuition deposit will accompany your letter of acceptance for some programs. This form is a commitment from you and requires an advance tuition payment. For some programs the advanced tuition deposit is non-refundable. Submit a completed application form, either via the interactive application form on the NCC Web site (www.nwicc.edu) or by mail to the Enrollment Office. Upon application to the College, you must submit an official copy of your high school transcript or official documentation of your high school equivalency scores. If you have previously attended college or any other post-secondary institutions, you must provide an official copy of your college transcript. This is required even if you do not wish to have previous work evaluated for transfer. Transcripts must be sent from the originating institution to NCC. All degree seeking students must have on file an OFFICIAL FINAL high school transcript. It must be on file by the 14th day of the semester of which the student starts. Failure to have the document on file will result in removal of all courses for the semester. Any exceptions to this policy must be discussed with the Director of Enrollment Management. Placement Assessment: You are required to submit Placement Assessment Test scores prior to registering for classes. Northwest Iowa Community College accepts ACT, COMPASS, Asset, and Accuplacer assessment scores. If you need to take a Placement Assessment Test, call NCC at 712-324-5061, 800-352-4907 or email admissions@nwicc.edu to set up an Accuplacer appointment. If you previously attended Northwest Iowa Community College and you have been absent for at least one semester (excluding the summer session), you are required to apply for readmission. Students who wish to be readmitted will be expected to meet all applicable requirements including submitting transcripts from other colleges attended since the last attendance at NCC. Readmission to Applied Technology programs will be subject to the availability of space and an evaluation of previous progress. 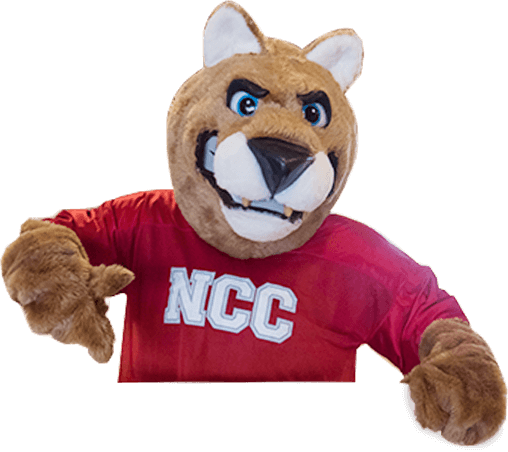 If you are interested in attending NCC, we strongly encourage you to schedule a campus visit. The visit may include a meeting with representatives from admissions, financial aid, housing, counseling, Division Deans, and instructors. The visit may also include a tour of the campus with special emphasis on your program of interest. If you are a new student, NCC requests that you attend an orientation session. Sessions will be held at various times throughout the year. The sessions include review of policies and procedures, academic advising, and registration for classes.